I live across the street from a small family farm and a market where they sell the produce grown on the farm. Last weekend, my neighbor, the farmer who manages this enterprise, pointed out to me where they've already put peas and beans in the ground. Because of the unusually warm weather we're having this spring, the plants are growing faster than they'd planned. It means that they need to re-plant more quickly, so they can keep production steady and have an ample supply of peas and beans in the store. As he explained, "When it's raining, we complain we can't get anything in ground. With this warm weather, though, there's no way we can plant fast enough to keep up." Shaking his head, he added, "Running a business that depends on the weather is just crazy." Farming is a business that would be much simpler with more predictability. I'm sure there are lots of other issues on my neighbor's mind: the cost of fuel, keeping the tractors in good working order, and how much space to allocate to corn, peas and beans. But I suspect it's the unpredictable weather that most often keeps him awake. Two years ago, the farm built a large greenhouse, equipped with a computer-controlled system to maintain an optimum growing environment. The windows on the roof open and close, and the sun shades unfold automatically to maintain the right temperature. An elaborate system of pipes, hoses and storage tanks, keeps the plants well watered. The considerable investment in the greenhouse and the control systems is justified because a portion of the business -whatever can fit in the greenhouse - can succeed no matter the weather. Essentially, the investment allows the farm to adjust to unpredictability. This same concept applies to other businesses. The ability to adjust to unpredictability is worth a significant investment. In fact, this is a primary benefit of software-as-a-service (SaaS) solutions. Using SaaS solutions, companies can more quickly ramp up to meet a spike in demand, drawing on the resources of the SaaS provider. Conversely, as demand wanes, they can scale down without idling in-house IT resources. SaaS solutions provide businesses with flexibility that allows them to to respond more effectively to unexpected changes in demand for applications. SaaS providers should highlight this advantage as they market their solutions. In addition to the advantages of lower cost, more rapid deployment, and easier maintenance, marketing professionals should also promote the benefits of flexibility. You should talk about how your solution helps companies respond more effectively to unpredictability. The cost of unpredictability may be difficult to quantify, but CEO's and CIO's recognize it, and they put value on solutions that can help them manage it. Expecting the unexpected is something these executives are paid to worry about, and they're willing to make investments that help them manage unpredictability. 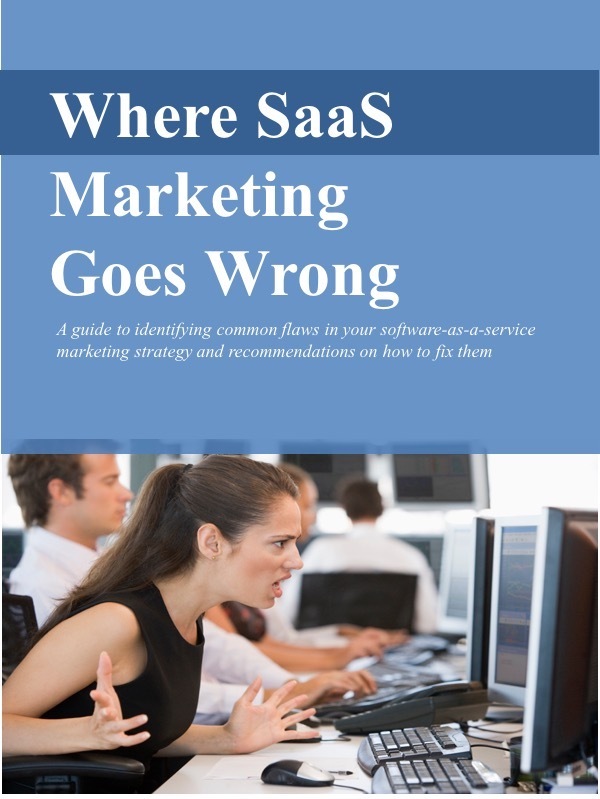 SaaS solutions can't "change the weather," but they can help build a greenhouse.